Factoring is a flexible alternative to traditional forms of funding. It allows you to respond quickly to changes in market conditions and matches your cash flows with your business requirements, thereby facilitating increased production and sales. It is also a financial option for the management of receivables. In simple definition it is the conversion of credit sales into cash. In factoring, a financial institution like Bank (factor) buys the accounts receivable of a company (Client) and pays up to 80% (Some time Up to 90%) of the amount immediately on agreement. Factoring company pays the remaining amount (Balance 20%-finance cost-operating cost) to the client when the customer pays the debt to Factoring Company on due dates. 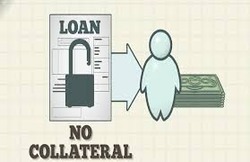 Collection of debt from the customer is done either by the factor or the client depending upon the type of factoring. The account receivable in factoring can either be for a product or service. Examples are factoring against goods sold, factoring for construction services (usually for government contracts where the government body is capable of paying back the debt in the stipulated period of factoring. Contractors submit invoices to get cash instantly), factoring against medical insurance etc. Minimum 3 years track record with turnover at least 10 Crore. Domestic Factoring : For open account credit sales of goods and services made within India. Services offered primarily comprise of funding, sales ledger administration and collections. Primary security would be second charge on current asset. Basic features of the scheme are as follows. All micro and small enterprises covered under MSMED act 2006 includes small road and water transport operators, small business, professionals and self employed persons and all other service enterprises under the ambit of MSE loans for retail trade, educational training institutions and self help group are not eligible. Maximum loan coverage of Rs. 100.00 Lakhs. Guarantee fees to be paid to CGTMSE trust is 1.50% of loan amount sanctioned for the 1 year. Annual service fees from second years onwards, there is a annual service fees of the loan amount sanctioned payable every year. Bill Discounting is structured working capital finance solution that includes finance against receivable / Book Debts of your company. So it allows you to convert your accounts receivable / Book Debts into cash and thereby cash generating potential of your business. 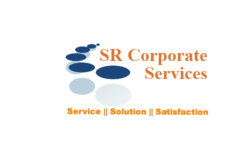 Facility given to all entities like Proprietorship , Partnership Firm, Companies. Entity should generate profits in last two years. Entity should have positive net worth. Interest only on the actual funds used by you. 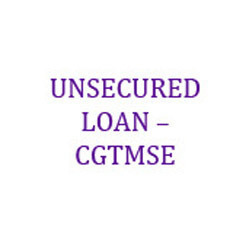 Looking for Unsecured Loan - CGTMSE ?